A four-year partnership between carmaker Nissan and MarkMonitor has resulted in more than 31,700 counterfeit products being kept off the roads. The partnership, which began in 2013, aims to take action against fake auto parts that pose a threat to consumer safety as well as damaging Nissan's reputation for producing high-quality goods. According to the firms, the partnership has made "major strides" in the crackdown of illicit activity, including the removal of more than 31,700 fake products and enforcing against more than 125,000 marketplace listings valued at $283m. The partnership, which includes website and marketplace monitoring and enforcement tools, has also increased customer safety, the firms said, as well as decreasing domain abuse and brand confusion for the Nissan and Infiniti brands, and has significantly reduced counterfeit listings on multiple marketplace platforms globally. "Our customers' safety is our number one objective and counterfeit parts create an unnecessary risk to them," says Andy Forsythe, brand protection manager for Nissan North America. "Nissan is committed to vigilance against counterfeiting and partnering with MarkMonitor has given us the ability to detect these types of sales and educate dealers and consumers to the potential hazards these parts can cause." Charlie Abrahams, senior vice president at MarkMonitor, said counterfeiters were continually refining their methods to deceive consumers online. 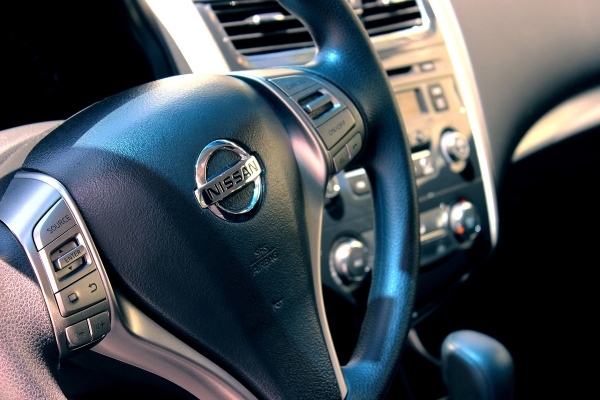 Nissan has found cases where customers, dealerships and auto stores have been duped by online sellers with descriptions like "Nissan brake pads" rather than more accurate descriptions such as "Fits a Nissan". Many listings and websites have also been found to contain invalid warranty statements, while fake replacement parts have been found with the company name spelled incorrectly as NASSIN. The company has also been concerned about the product liability risks associated with bogus parts that are not manufactured to specific performance levels and which could cause serious damage if the parts fail. "Nissan has taken proactive steps to protect their customers and ensure that counterfeit parts do not end up in their hands," Abrahams said. "MarkMonitor has provided the tools for Nissan to educate dealers about the potential hazards caused by these types of parts and the ability to aggressively combat the issues of counterfeiting and brand abuse online, putting customer safety first." Pay-per-click pages containing the Nissan trademark was once Nissan's second largest concern but such pages now make up less than 4 per cent of total Nissan-related sites. Nissan and MarkMonitor claim these sites no longer generate revenue for their owners and the Nissan brand is now less likely to be targeted. Counterfeit car parts cost the global automotive industry nearly $45bn annually, according to analysts Frost & Sullivan. With the rise of the internet and online marketplaces, the counterfeit trade has grown significantly, which has sparked consumer safety and brand protection concerns. Many conmen will also use fake websites, misrepresenting affiliation with Nissan by featuring stolen images and text to appear legitimate, to sell dodgy parts to drivers and car mechanics. The industry has also identified cases of cybersquatting, where company and brand names are registered as internet domains with the aim of selling them for a profit, as well as unauthorised logo use and pay-per-click infringement with sponsored links pointing to diverted domains. Illicitly produced auto parts can include automatic belt tensioners, body panels, windshield wiper fluid, airbags and wheels among other products. In June this year, an American man pleaded guilty to five counts of mail fraud for an international scheme to sell counterfeit airbags, including fake Nissan-branded ones, via eBay and other internet shopping sites. He sold hundreds of airbags to unsuspecting consumers, raising more than $95,000. Last year, as part of the 'Genuine is Best' campaign, the Australian automotive industry warned consumers about counterfeit alloy wheels after subjecting fake Mercedes-Benz wheels to seven tests and finding significant and concerning defects as a result of poor-quality manufacturing that could put consumer safety at risk.